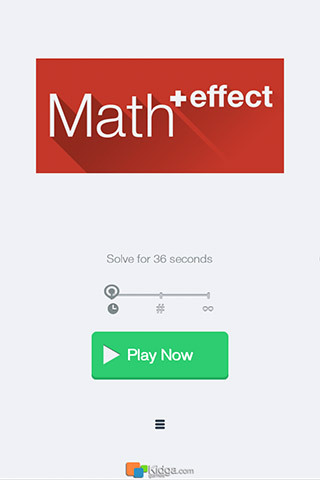 Math Effect is a Speed Math game for everyone who enjoys mathematics. Those brave who want to be in a good shape, which boldly wants to calculate rapidly with no paper on behalf. 1. 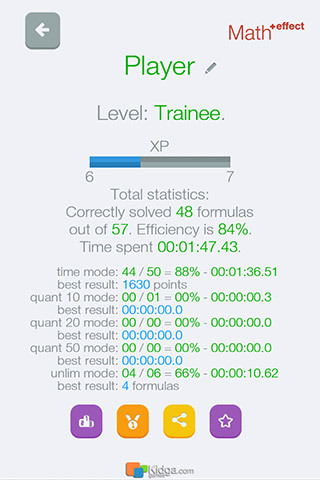 Choose one of three modes (time, fixed equations number, unlimited play). 3. Look at the equation, calculate. Determine: is it true or not. 4. If equations true then press “yes”. If not then press “no”. For instance 2+2=5 is not true, so press “no”. Be advised. – Balanced level ups and earned bonuses. 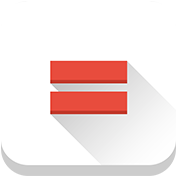 – Select 10, 20, 50 equations in “fixed equations” mode. – Fancy graphics and effects. 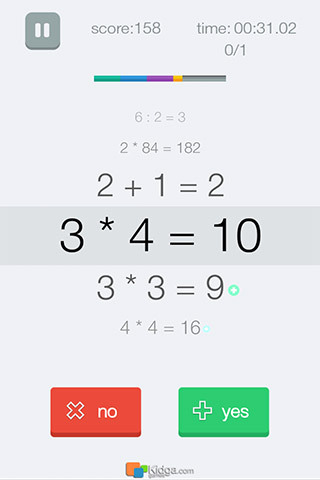 Children and grownups could reach Math Effect easily. Everybody is getting smarter while playing. Most Math Effect is got while playing before breakfast, dinner and supper but don’t forget to it. It’s me, Albert. Its time for you to get hurt my darling. I’m just started to play Math Effect and already reached Genius level. So take your sisters and get to the math league while its not too late. Maybe its your very last chance.